Going out for dinner is something I enjoy a lot. I love to cook, the Mr. loves to cook, we always have some nice wines in our fridge, so there is no need to go out for dinner. But still… it’s the whole experience. 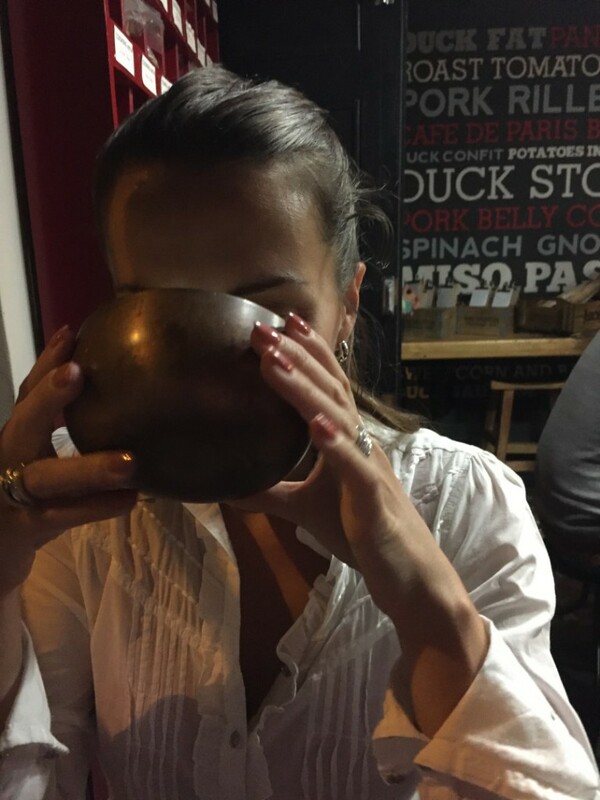 Getting ready, dress fancy, use that nice smelling perfume, wear high heals, looking forward to see what’s on the menu, try special dishes or food you probably would never make at home, have a chat with the owner or Chef, stay a bit longer for a second espresso with a liquor…. I love it all. 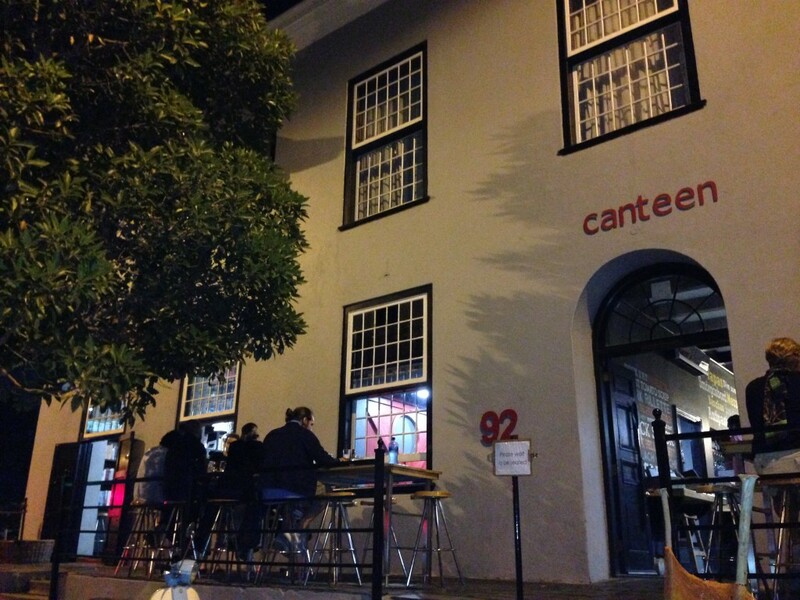 A perfect place to look forward to have dinner is Canteen @ Chef’s Warehouse, on my favourite street in Cape Town: Bree Street. 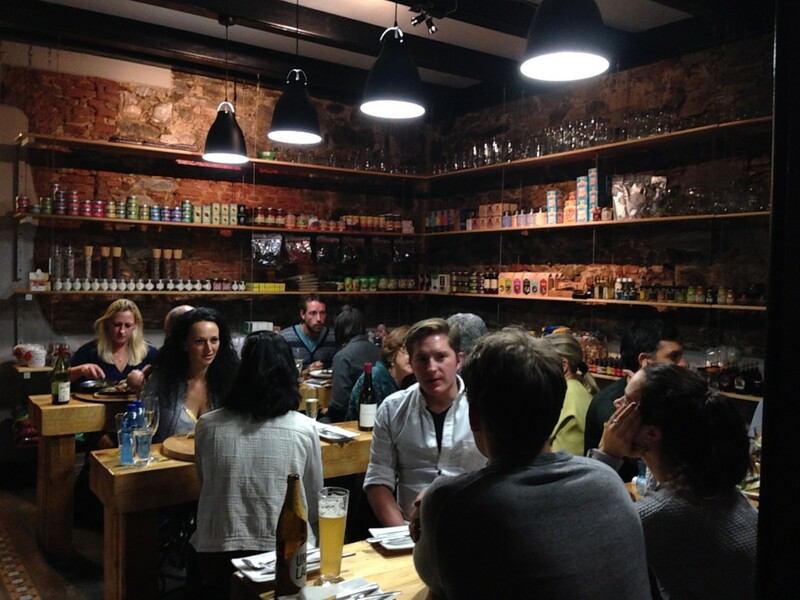 I wrote already about several places on this foodie-paradise-strip, for example this blog post about Clarke’s, or this one about Locanda @ Villa 41, and recently a I also wrote about the Culture Cheese Club, quite high up on Bree Street. 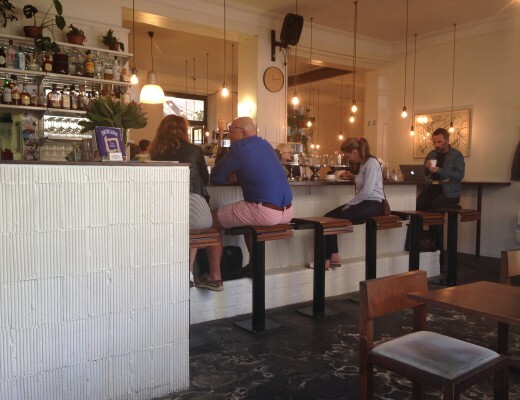 Today I write about my very favourite place for a long, delicious and relaxed evening: Canteen restaurant from Liam Tomlin and his sweet and talented wife Jan.
Front of Canteen restaurant at Chef’s Warehouse. Sitting on a table in the open window on Bree Street. 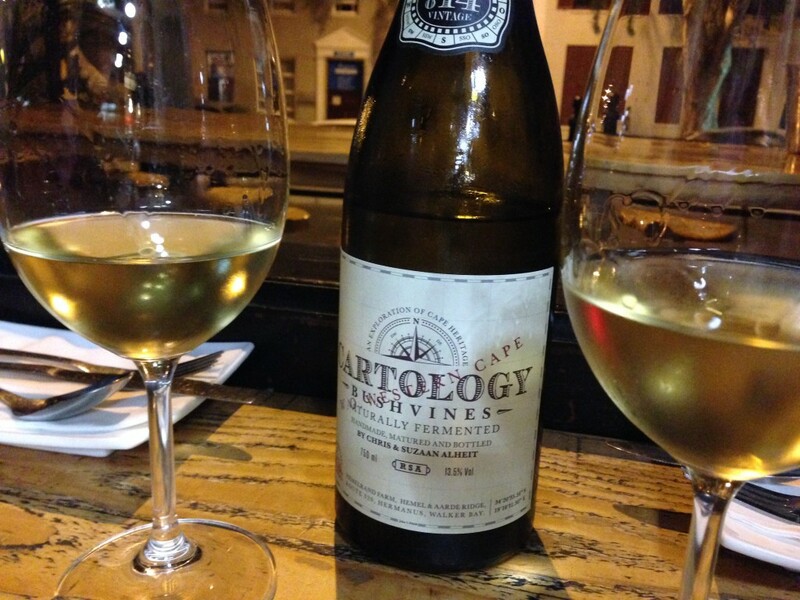 Beautiful wine; Alheit Cartology 2014, white wine, 89% Chenin blanc 11% Semillon, nose of lime, fennel and quince, with a taught palate and driving acidity & a long finish. Really stunning, slightly wooded but not too much, R400 a bottle. 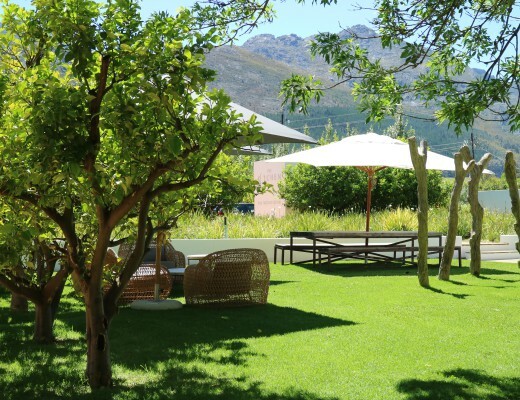 From Hemel and Aarde Valley, near Hermanus. Absolutely fabulous. 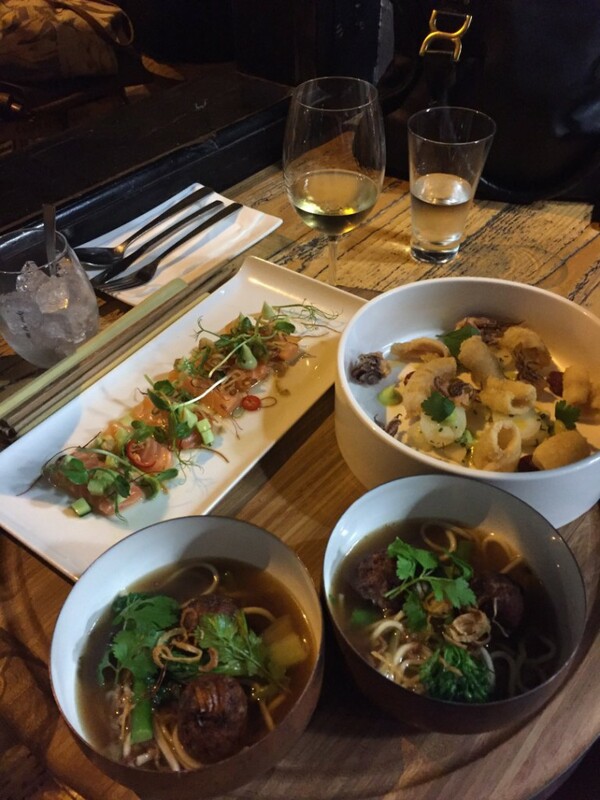 Salmon Vietnamese, salt & pepper squid with Chorizo and parsley, thai fish cake with bonito and Shiitake broth…. Yum! All so so good. 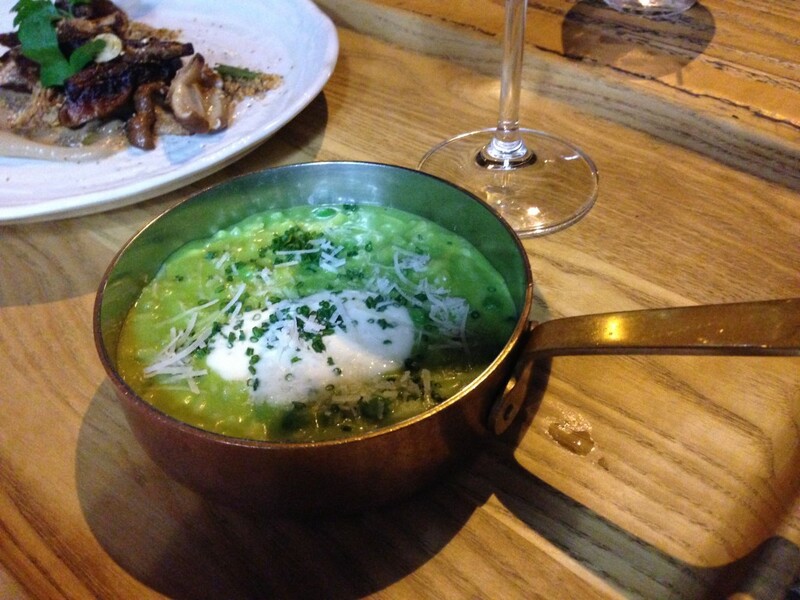 Pea and Goats Cheese Risotto. Nomnomnom… On the left you see a little bit of the Sautéed wild mushrooms with garlic, lemon and parsley. 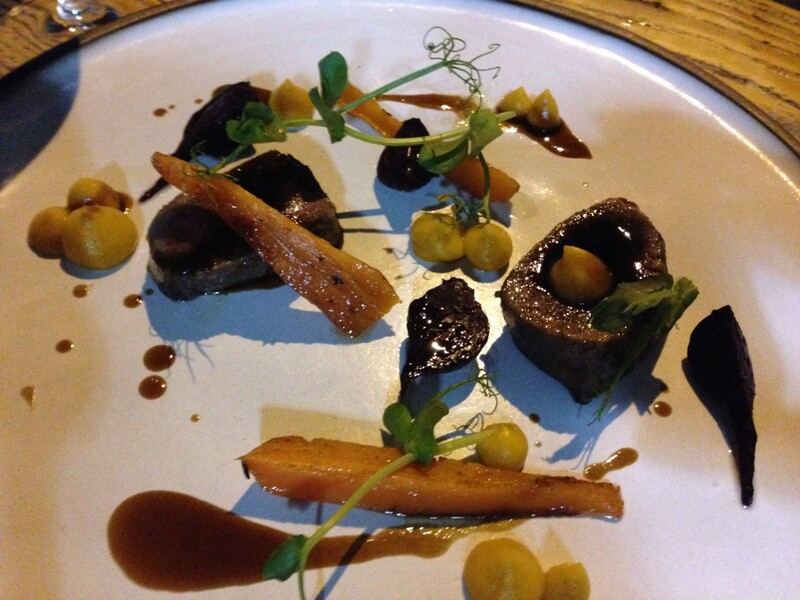 Potato gnocchi with braised beef brisket, loin of venison with roast vegetables and panfried Yellowtail with sauce Vierge. 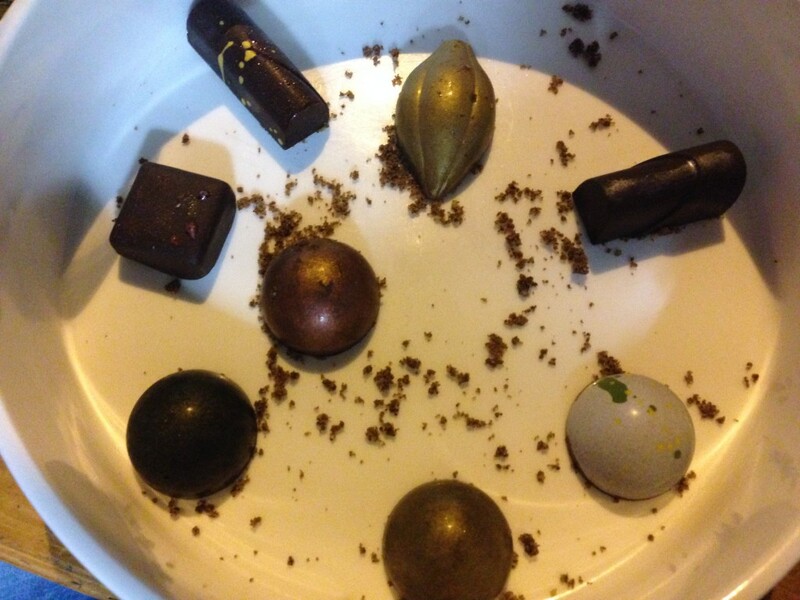 Delicious – I repeat delicious – luxury bonbons…. Belgium type chocolates and pralinés. Not easy to make, and they were all special and very tasty. 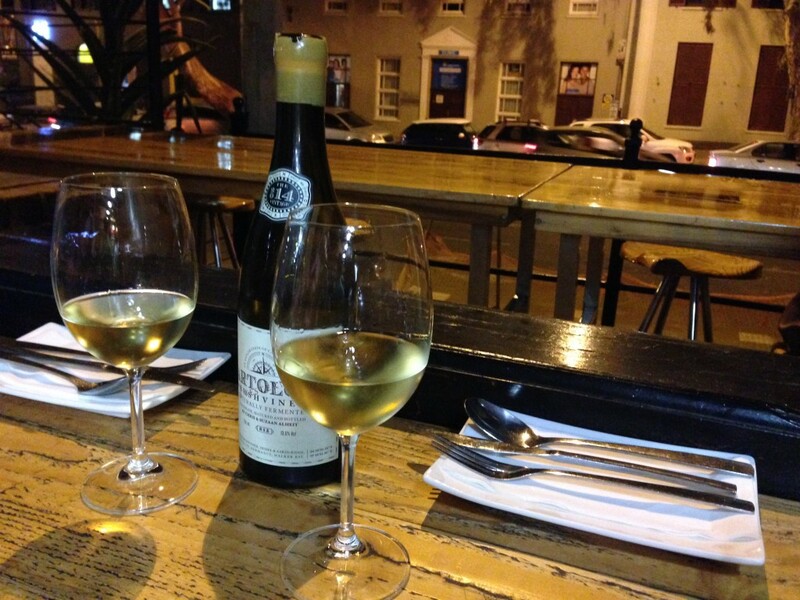 We paid ZAR 1448 (excluding tip) for a dinner for two. 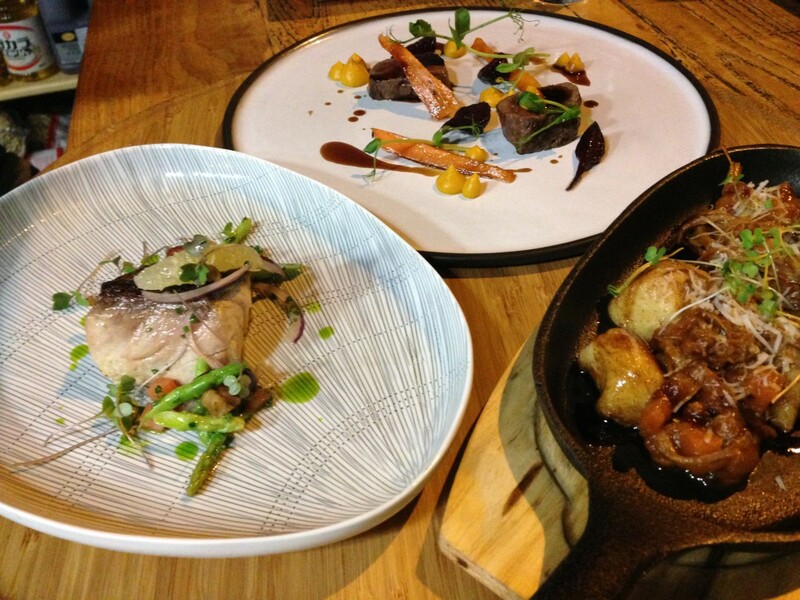 The tapas for two is R520, and this is more than enough and real fun to share Liam Tomlin’s beautiful food. Our bill expensive? Maybe a bit. But keep in mind we ordered not a cheap bottle of wine (Cartology, R400) and also had some more delicious red wine; 2 glasses of De Grendel Shiraz and 2 glasses of N. Valleij Cins (4 glasses à R58) and 2 glasses of cognac. Furthermore we had bon bons fine chocolate (R95) and a big bottle of still water (R28). 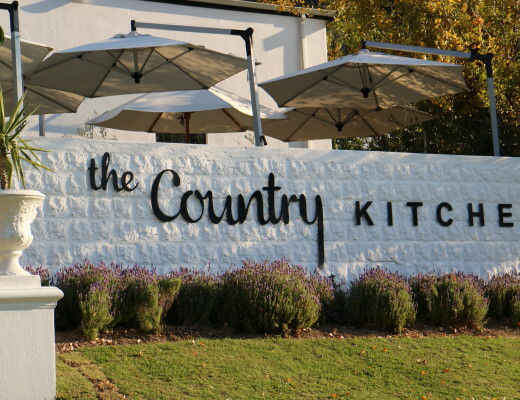 What I try to say is: you can definitely dine here for much less than ZAR 1448. If you behave a bit regarding alcohol. Not sure what we were thinking that evening, poor liver. No bookings, first come first serve. 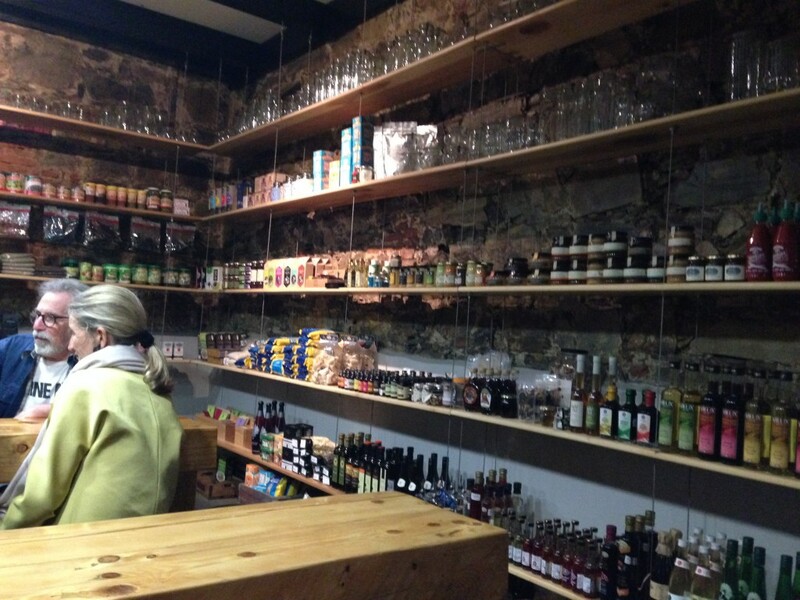 You can have a drink while waiting at the fun bar in the basement of the building called “No Reservations”. 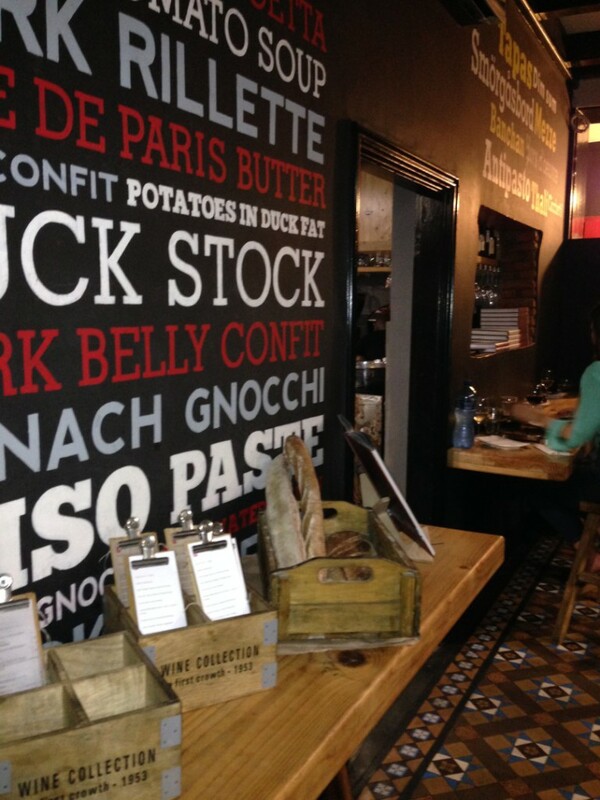 *Note: I have not been asked, payed or invited to write about Chef’s Warehouse and Canteen. We payed the bill ourselves in full and all photos are mine.